On 6 November 2015, UNU organized the symposium Implementing the 2030 Agenda for Sustainable Development, as part of a series of events celebrating 40 years of UNU academic work. The symposium considered the adoption of the 2030 Agenda by UN Member States in September 2015 and the challenges faced by the international community in implementing this ambitious global plan, and achieving its 17 Sustainable Development Goals. The symposium opened with remarks from David M. Malone (Rector, UNU; Under-Secretary-General, UN) and representatives of the Government of Japan, reflecting on the achievements of UNU over the past 40 years and its future role. 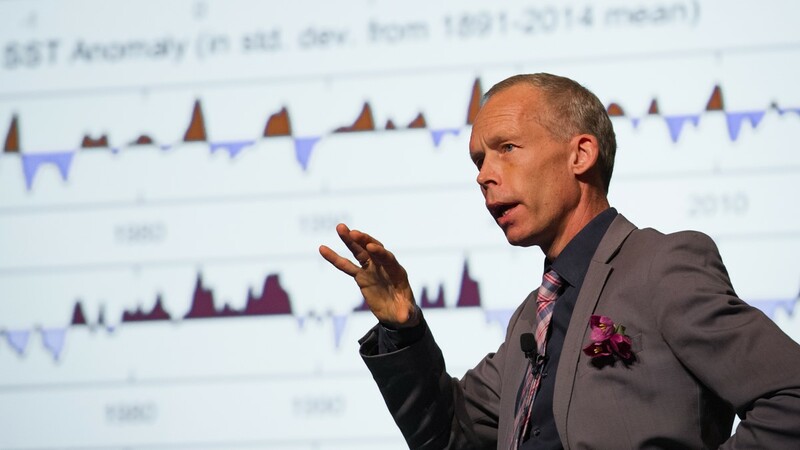 In the first of two keynote lectures, Johan Rockström (Director, Stockholm Resilience Centre) explained how the concept of planetary boundaries was critical to the 2030 Agenda, as the planet sets the conditions for the success of humanity. He emphasized that science had shown a new path forward, in which we can have growth and success within limits, thriving within these planetary boundaries. The second keynote lecture, by Naoko Ishii (CEO and Chairperson, Global Environment Facility) explored the transformations in key economic systems that will be required to achieve the SDGs. She called for building the broadest possible “coalition of the willing”, through new multi-stakeholder approaches to bring together communities, corporations and countries. The lectures were followed by a panel discussion moderated by Kazuhiko Takeuchi (Senior Vice-Rector, UNU). Hironori Hamanaka (Chair, Board of Directors, Institute for Global Environmental Studies) underlined the importance of governance for implementing the SDGs, suggesting that for many of the goals, countries would need to combine top-down and bottom-up approaches. Miki Sugimura (Vice-President for International Exchange and Professor, Sophia University) focused on the role of education in providing cultural connectivity for the SDGs, and as a multi-stakeholder platform. Masayo Hasegawa (Project General Manager, Environmental Affairs Division, Toyota Motor Corporation; Member, Future Earth Engagement Committee) considered the role of the private sector in implementing the 2030 Agenda, stressing that businesses had a stake in society, and that the transition to a more sustainable world was a major business opportunity. Discussion between the panelists and the public audience addressed the role of science in implementing the SDGs, the universality of the 2030 Agenda and issues of equity and differentiated responsibility. Panelists highlighted the increasing collaboration between developed and developing countries, and the need to translate the global goals into targets for each country and region. An extended summary of discussions as well as speakers’ presentation slides are available for download.